they could now be vehicles turning out of Mowbray further west and coming into Coolaroo and up to Greenlands. There remains the issue of dangerous driving along all of the streets between Centennial Avenue Chatswood, (Dardanelles, Lone Pine, Dalrymple, Coolaroo) and Mowbray Road. This is very interesting. InSharland ave we have noticed an increase in traffic, in the morning and evening. Also Goodchap turning right into Mowbray. I would be interested in when they did their study. Thank you very much for the update. As a Coolaroo resident I find the potential for parking restrictions to allow greater traffic flows to be a very scary development. It is clear that traffic increases until it is restricted, so passing bays will just encourage more cars, until the same level of restriction occurs. Out of the peak these bays will further encourage the speedsters who enjoy the curves and undulations of Coolaroo at 60km/h and greater. Also houses on the low side have limited off street parking due to the slopes of the blocks. Best to allow Coolaroo to limit traffic, as it is currently doing, or act to decrease its current capacity and to stop the speedsters, rather than facilitate greater use of this rat run to the highway. 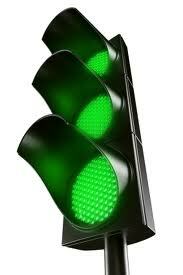 As a resident of Dalrymple Avenue I would like to take issue with the outcome of the Beaconsfield Traffic Lights study. There are three main issue in my experience. 1. The volume of traffic now forced down Coolaroo Road, based on personal experience, the increased number of cars is in excess of that listed in the report. Since the closure of Beaconsfield Road to right turn Coolaroo Road has become a driving nightmare. With cars and trucks parked on both sides of the road have made getting to turn right at the Centennial Avenue Lights a dangerous proposition. 2. The intersection of Goodchap and Mowbray Roads has become a bottleneck. The number of cars turning right from Goodchap has increased and this means it takes much longer to turn left and often right turning traffic forces its way across the intersection into traffic coming from Pacific Highway. Obviously not a safe move. 3. Just stand in my driveway and count the traffic at peak times … narrow road, preschool, speed humps, chicane, wrongly cambered corners, bus stops … why should it be acceptable to have any through traffic at all? I certainly experience point 2 of previous comment. Thanks to the Chatswood West Ward Progress Association for sharing the below update and link to council’s summary of the long awaited traffic consultants report. It was disappointing not to receive this directly from our elected representatives or council given the high level of interest, the long delays, and the meeting to discuss it being now only 2 business days from now. In short, the report states that traffic in local streets has REDUCED since the lights were installed. Yes, unfortunately you read that correctly – council’s advice is that the data says everything is great thanks to the Left Turn Only at Beaconsfield and therefore the restriction should stay. I suspect the residents of Dalrymple, Coolaroo, Beaconsfield, Sharland and other surrounding streets will struggle to swallow that one based on a full 12 months of personal experience that is not reflected in this conclusion. As will anyone else who is inconvenienced on a daily basis as they try to get out of our suburb to drive to work, school or anywhere else south or west of our suburb. So….if things continue to get worse we can look forward to the prospect of parking bans outside homes and other ‘traffic management measures’ imposed on residents in order to either help and/or discourage traffic that currently has no practical choice but to use those streets to get out of the area due to the ‘Left Turn Only’ at the Beaconsfield Lights……. As opposed to simply removing some signs/painted arrows at the lights, and returning small ‘narrow and undulating’ local roads to an appropriate residential load. Unfortunately the report we have here appears to be Council’s summary of the consultants report and so does not include the actual data, or state when exactly the data was collected, or demonstrate to what extent these conclusions accounted for peak vs off-peak, etc. I hope we can get to see the actual report and figures in the near future. The traffic figures may not reflect the real world experience of residents for a range of other reasons, including certain relatively safe but illegal ‘work arounds’ a large number of frustrated residents have been forced into using in order to avoid the Coolaroo/Dalrymple/Greenlands mess (and therefore the traffic counters in those streets). But it’s not too late. The consultants acknowledge that their study is intended to be a “precursor to a consultation exercise”. If you feel in any way dissatisfied with these recommendations there is an immediate opportunity to attend council’s Traffic Committee meeting this coming Monday evening (1st Sep) and residents have the right to speak at that meeting. The meeting will be held at 6pm at the Banksia Room, Level 6 in the Council Building, Victor St, Chatswood. I’m sorry to say that I will not be in Sydney on Monday so will miss out on this great opportunity to keep the pressure on the council over this issue but I encourage as many residents as possible to attend, ask questions, and share your experience of the realities of the situation. Ongoing pressure from as many residents as possible is the only way we will bring this to a sensible outcome that doesn’t continue to penalise the local residents our council is supposed to represent. I hope to hear about a strong turnout on Monday night and that good questions can be asked about the inconsistencies and assumptions in the report. Any updates afterwards from attendees would be very welcome. too am very disappointed at not being able to attend on Monday, particularly given how long we have been waiting for this opportunity to discuss this issue properly. I look forward to further opportunities to discuss this as finally some structured public consultation occurs in the next month or so (hopefully). I suspect the more ‘active’ tone of my latest update to petitioners may be unwelcome to councillors/council but to be frank the extremely slow pace, back-to-front process, ongoing delays, fragmented consultation and communications, complete lack of engagement by two out of three West Ward councillors, and now the dubious recommendations in the report has added up to a real frustration among the residents that I am regularly in contact with. To cut to the chase we are simply not seeing evidence on any part of this issue that the council appreciates the level of frustration among residents. Hopefully that will change over the coming weeks and we can help the council to better understand the reality on the ground through Monday’s meeting and the following consultation. In a way I am not surprised by the findings. 1. banning right turns out of Beaconsfield Road “has not resulted in significant traffic increases in local roads to the north of Mowbray Road West”. I would say this is because before the lights were introduced, no one used Beaconsfield to turn right during peak hours during because Mowbray was too busy. So traffic was solely, already using the back streets. The lights didnt alter this. The – Right Turn from Beaconsfield became officially impossible (with the Left Turn only) – hence, the traffic levels on the back streets would appear relatively unchanged. The value of having a Right Turn to Mowbray from Beaconsfield is it would have taken away some traffic away from Dalrymple-Coolaroo. 2. the signals had not resulted in an appreciable deterioration in traffic conditions on Mowbray Road West. In my opinion, traffic is bad on Mowbray Rd partly because it is, in effect, a one-lane road in each direction due to parked cars on the street. The lights at Beaconsfield did not change this, except that the dedicated right turn lane from Mowbray into Ralston makes Mowbray permanently effectively one-lane – even if no-one was allowed to park on the street. (this needs to be fixed). Having Mowbray be 2-lane (by removing parked cars during peak, and removing the Right Turn lane into Ralston – allow people to turn on the orange light), would keep traffic on Mowbray and away from the back streets. 3. I would agree that traffic would have dropped on Beacsonfield as only cars that turn left on Mowbray use it now. *** The main point about the lights at Beaconsfield is that – if they allowed a right hand turn, it would significantly share traffic in the area and reduce the load on Dalrymple/Coolaroo. It is a missed opportunity to help share traffic load. I’ll try to make it to the meeting. I am writing to let you know that the Traffic Committee of Willoughby Council is meeting tomorrow night, Monday September 1, to discuss the independent Traffic Consultant’s report of our local streets. You can find a copy of the full report at: https://cwwpa.org/2014/08/29/beaconsfield-signals-have-reduced-traffic/. I also attach a copy of it to this email. In short, it is not good news at all. The basics of it are that the report concludes that traffic has actually dropped since the lights went in at Beaconsfield / Mowbray and that therefore no change is recommended. However, it does recommend future parking bans on Coolaroo and Dalrymple to facilitate even more and faster traffic down these streets once the traffic loads increase past one car in every 12 seconds. In short, the proposals for our local streets are dire, and we disagree strongly with the findings. A group of residents met this afternoon and formed a strategy to address the Traffic Committee tomorrow evening. We will present a video of local traffic and some independently collated road statistics as well as our very clear concern for our safety. Monday 1st September at 6 PM, Banksia Room, Level 6 in the Council Building, Victor St.
Re the Traffic meeting on Monday. I have requested the officers provide the residents at the meeting details regarding the methodology used for the traffic counts in this precinct. I will be unable to attend tonight’s meeting as I have laryngitis. However I would be happy if you could raise the following points on my behalf. The traffic consultant report recommends public consultation which is long overdue and I support that. I do not support any further restrictions to right turn movements onto Mowbray Road, as this will add to further congestion. I also contest the findings of the traffic study, on finding that no further movements were recorded. I would like to understand how long the recording took place and on which days of the week. Traffic in Goodchap Road has certainly increased, with queues forming a significant distance (in some cases two blocks) down the street. I only noted personnel undertaking car audits on one week day, not at peak periods. I would have thought that a month of audits, at peak times, would show a true scenario. Council has advised that increased queuing in Goodchap Road, is associated with changes to the Pacific Highway/Mowbray Road intersection, however increased volumes in traffic and these changes are the cause. Thanks for keeping us up-to-date on progress. Like everyone else, I am flabbergasted by this report…though I should not be because I felt that we had not made any impression on the team when we met at council earlier this year. On a technical note, I find it hard to understand the intent in the comments on page 35, page 40 and page 41 in terms of parking restrictions. In one section it seems to suggest parking restrictions on Mowbray at the intersection with Dalrymple, but in the others it refers to the parking restrictions in Dalrymple and Coolaroo. The reference is made to the problem worsening which also indicates that it is already getting worse than before. We do need to be careful here to consider the whole precinct and look at the impacts on all streets between Mowbray Road West, Pacific Highway and Fullers Road. It certainly would ease the burden on Coolaroo, Greenlands and Dalrymple between Coolaroo and Mowbray if there were to be a turn right into Mowbray from Beaconsfield. However, it would add to the problems along the rest of Dalrymple and the connecting streets which lead from Fullers Road and The Pacific Highway as well as on Beaconsfield from Dalrymple to Mowbray Road. This route would become an even easier route for traffic heading to Mowbray Road West and the Lane Cove developments, enabling vehicles to avoid the intersection at the Highway and we would find an increase in traffic turning into Oliver Road and Centennial Avenue Chatswood. The installation of the lights was opposed for years because it is a classic example of something done in isolation having a huge impact elsewhere and it is then understandable that we become entangled in the drastic problems in one street. I will gladly be involved in any campaign because I do not want to see our local community’s street systems become another Boundary Street.